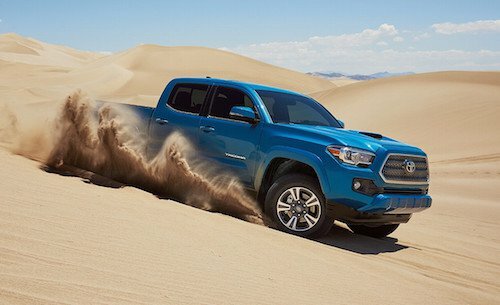 If you are shopping for a dependable new truck, come see the Toyota Tacoma near Somersworth, NH. With many convenient features and a modest MSRP, the Tacoma is a excellent choice for work or play. The Toyota Tacoma is available as a Double Cab, Access Cab or TRD Pro model. We have a selection of new and used Tacoma models available. See our complete truck inventory online and compare MSRP, trim options and vehicle details. We invite you to stop by, meet the team and test drive a Toyota Tacoma near Somersworth, New Hampshire.